Being a boss means having responsibility for other people’s careers. Doing your job well makes it easier for others to perform better. Great bosses, like great teachers, can have a lasting positive impact on the lives of those working for them. Sadly not every boss deserves that title. We’ve all encountered them, at some point or another in our careers. Bosses can make you want to tear your hair out. Bosses who make you wonder how they got promoted in the first place. Bosses who are the frequent cause of complaints to friends and loved ones. Bad bosses demotivate staff, treat employees like children and sometimes act like children throwing a tantrum. For centuries, ineffective management has proven to drag down productivity within our capitalist economic model. Employees don’t leave bad jobs or companies; they get tired of bad bosses. These are seven of the most prominent complaints staff have about managers. Being a good communicator is an essential skill for anyone in a leadership role. The world’s most successful business leaders; Warren Buffet, Bill Gates and Richard Branson, are known for this. They share their thoughts, ideas and vision with employees, stakeholders and the public. Employees need more guidance than most managers assume. Project and company goals should be communicated clearly, more than once. Equally, feedback should be clear. An employee can’t improve performance until they know what they’re doing and where they’re going wrong. 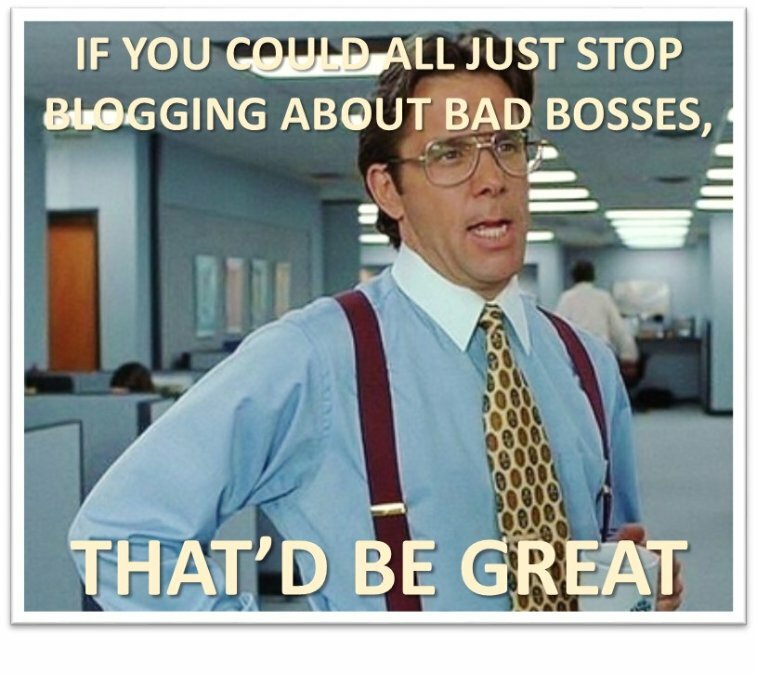 A boss shouldn’t expect otherwise, and yet many think their staff can read minds. Resulting in a disconnect between management expectations and staff performance, making both parties distrustful and unhappy with the other. None of which is good for morale or performance. Great managers make things easier for their team. Most managers would expect a project to be complete on time by their staff. A bosses deadline is treated as a hard deadline unless challenges arise. On the other hand, bad managers don’t treat employee requests (input, feedback, help with something, a shift change) with the same urgency. Time management is as essential as clear communications. A good manager should be able to prioritise and handle employee requests as effectively as those from the managers above them. Otherwise you drag your teams productivity down, rather than boosting it. Most of us spend a lot of our working lives with colleagues and managers. It’s better for all concerned that you get along well enough to function as a team. Managers can never – or rarely – be friends with staff. A certain amount of distance is needed. But not one you can drive a sixteen wheeler truck through. Establishing strong personal and professional connections between staff and managers is one of the main way businesses can achieve buy-in with vision and values. Without this bond, there’s one less reason for them to feel motivated and connected. When the chips are down employees, need to know a manager has their back. Bosses who refuse to take responsibility, don’t listen, fail to come through on promises or allow bitching, and gossip give their team no reason to be confident in their ability to lead. Growing a strong culture isn’t easy, but these are just a few ways you can salt the earth so that one won’t be cultivated for years. Just as harmful to morale is managers who want a hand in their teams jobs. Managing is about guiding, supporting and providing helpful feedback. Doing the work of your team is simply annoying, impacting your and everyone’s productivity. Staff value helpful suggestions, but not overt interference. When you are responsible for people, for the quarterly and annual performance of your team, it helps to have a plan. Have a clue. Be organised. One of the most common complaints from staff is that management is too reactive, rather than are actively implementing a strategy. Often as a result of bad management employees can feel overworked. At times, this is due to poor time management on their part. At other times, it’s management dumping too much work on staff without thinking of the consequences. Overworked employees are less productive. They can also suffer from fatigue, weight gain, insomnia and other mental and emotional side effects. When staff aren’t happy, they won’t wait long to see if things improve. Especially when the economy is good. They will walk. Leaving you with the cost of replacing them and wondering why this last one left. Eventually, it becomes pattern, which should make senior management take a closer look at the responsible party: the buck always stops at the boss. A good boss should serve those who works for them, which is how the most effective teams are formed and succeed.